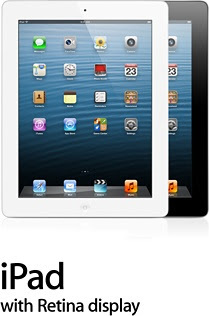 Fun Homeschool Mom Blog: The Family iPad- A Tablet Brings A Family Closer? The Family iPad- A Tablet Brings A Family Closer? Have you considered buying an iPad but worried about how it might impact your family life? I know that I definitely had that concern before we took the plunge and purchased an iPad. We purchased our iPad after praying and deciding that it was worth the risk if we used it to harness the educational potential of the electronic age for our children. We knew we would need to carefully monitor our children's activities on the iPad and put certain safeguards in place to allow us to maintain control over what our children do on the iPad. We spent most of our time worrying about the iPad and never considered that there might be advantages beyond the academic to having a family iPad. Too bad for all the time wasted worrying (the Bible's warnings about worrying being useless are true). After a couple of months with our iPad, the verdict is in: iPads are so fun for the whole family and they increase the time that we spend together in the evenings. What a funny scene in our living room in front of a roaring fire on a cold, windy night as each of us took turns playing the "bagpipe" on the iPad using an app called "AirPipes". Or to see Mom playing princess dress-up or hair styling using "Toca Hair" with Alyssa as Dad is helping Chase build fortresses using the app "Simple Physics". Sam and I use the very helpful "Avocado" app to keep in touch and share lists, important dates, notes and more. I could be imagining it, but life seems a bit more relaxed and fun around here since we got our Family iPad. I know there are plenty of warnings about electronics interfering with family life. I just wanted to share our experience to let you know that getting a Family iPad could actually be a good thing, depending on how you use it.